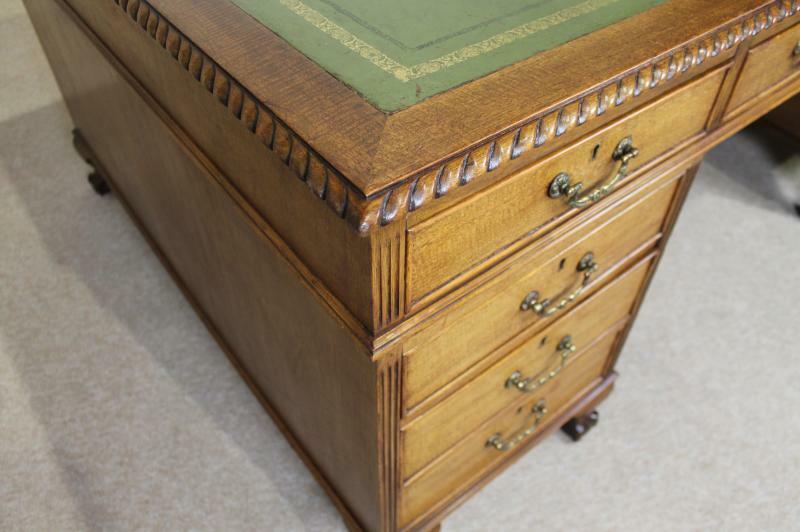 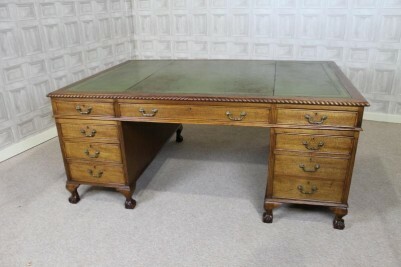 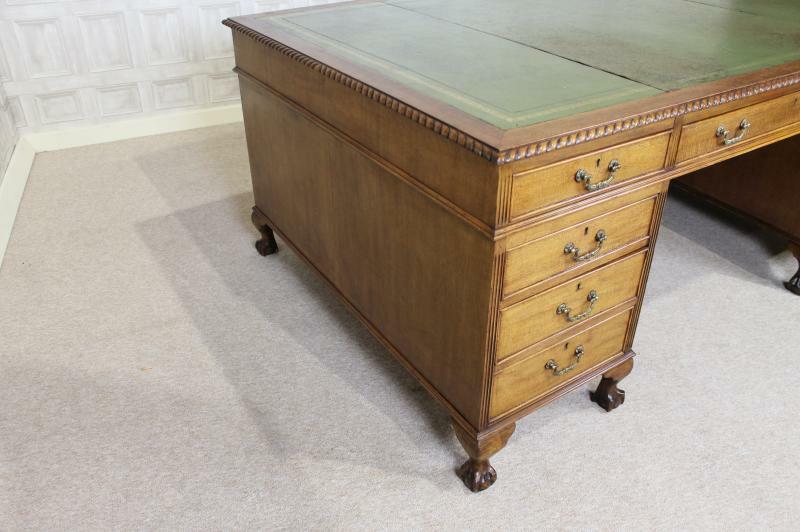 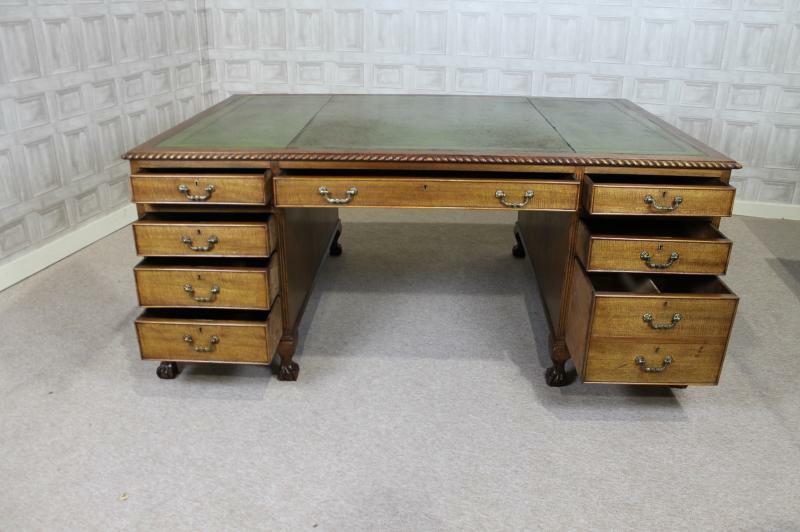 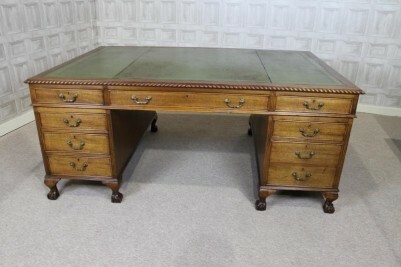 A large mahogany Georgian style partners desk featuring a tooled leather top and pie crust edge. 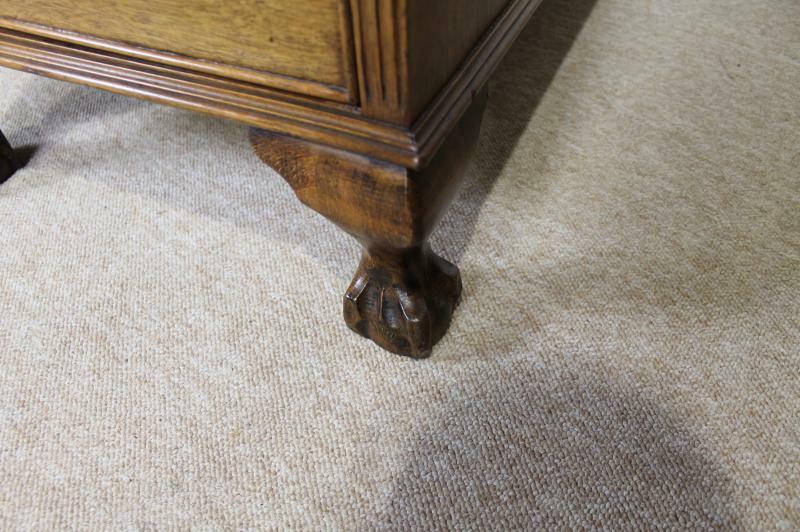 This stands upon two large pedestals with a multitude of drawers which are fitted with swan neck brass handles and small ball and claw bracket feet. The desk is in lovely condition with just a moderate amount of wear and tear. 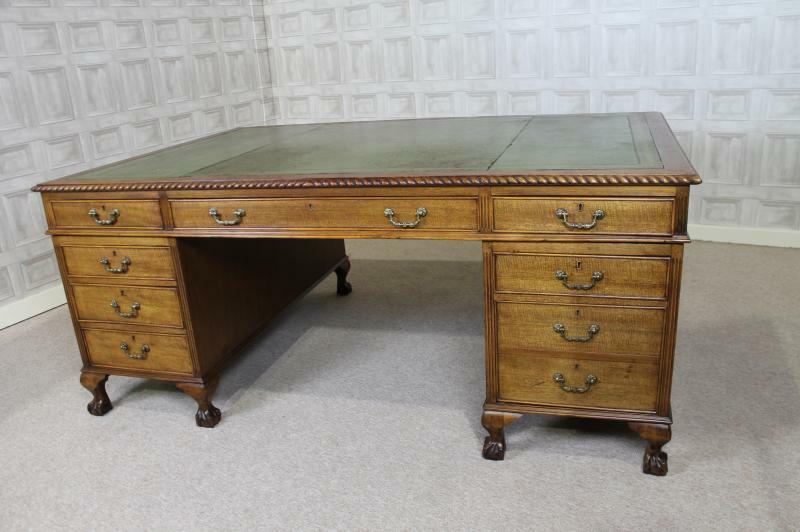 The desk breaks down into three individual pieces, and is a fantastic piece of furniture for any period style office. 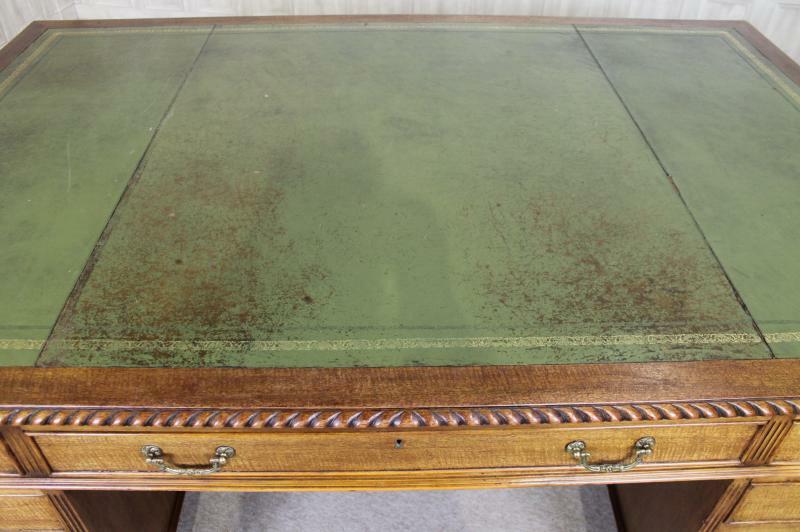 The leather writing surface does show signs of general wear and tear, but this is to be expected from a piece of office furniture that has been used on a daily basis.